Everyone went ballistic with fandom when Rick & Morty returned and brought us Pickle Rick! In a multiverse where anything can happen (and just about everything does), this is one thing that nobody could have ever predicted. But, that only means that Rick has to aim for the next tier for the next adventure. This time, Rick has gone both Pickle and Plushie. Now, we have no idea how he's going to get out of this... er... situation, but you might be the key. 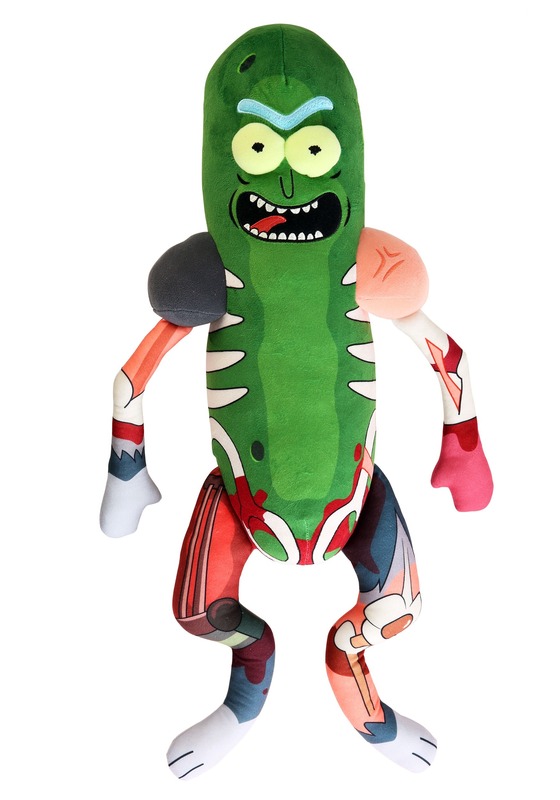 Help Rick find his way to a happier home and ensure that you've got some serious conversation starters when you bring home this Pickle Rick Plushie (in his bionic Rat Suit). He's got the same lunatic grin despite his pickle body. But, this time, he's even gone into full snuggle mode. That, alone, makes this transformation the most unique of anything he's previously attempted! Usually, when Rick performs an experiment on himself, he builds in a reset button. 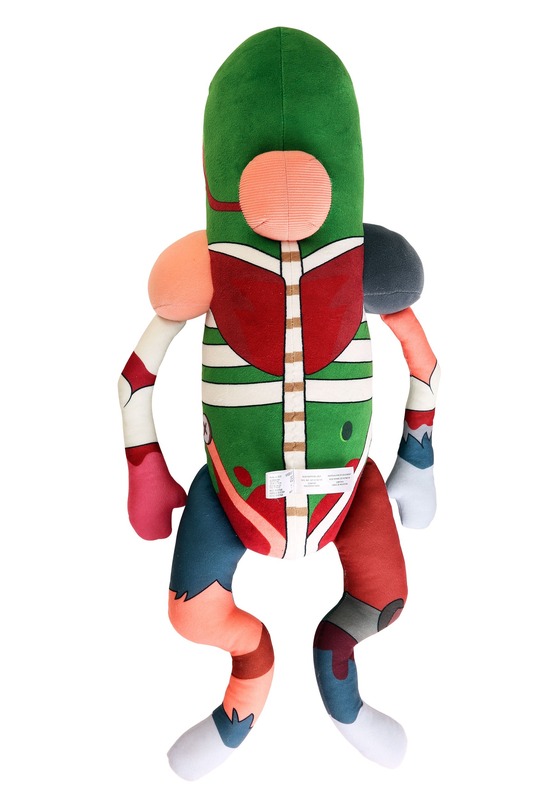 To our knowledge, he has not done so for this Plushie Pickle polymorphing, so you'll likely just enjoy this as a cuddly bit of fandom. That said, Rick is Rick, so who knows what could happen when you bring this guy home! ?